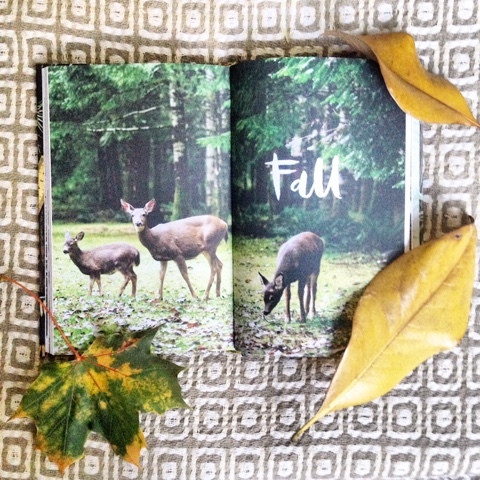 Okay so this is super last minute notice, but absolutely worth a change of plans. 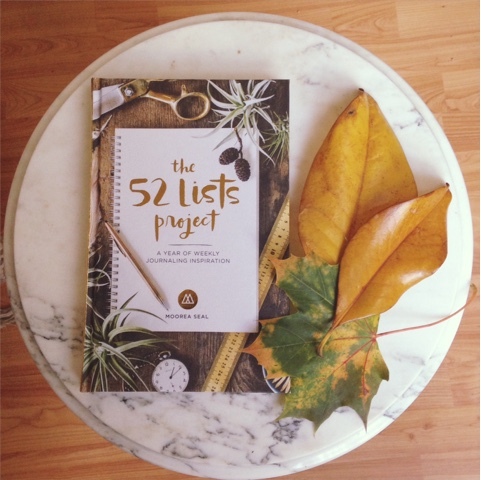 Moorea Seal is hosting a free party tonight to celebrate her just released book, The 52 Lists Project: A Year of Weekly Journaling Inspiration! 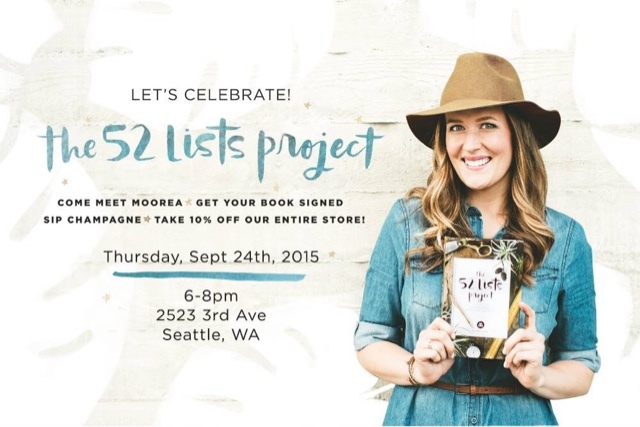 If you are in the Seattle area be sure to stop by the Belltown store to meet Moorea, get your book signed, sip champagne and take 10% off the entire store! Hope to see you there!